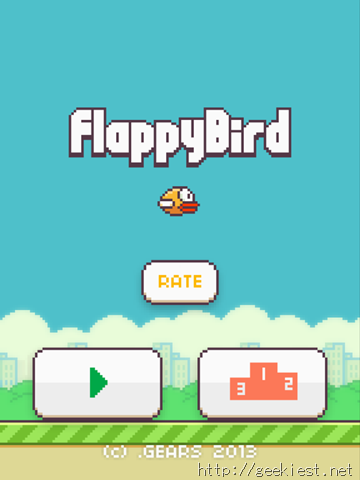 The insanely popular and rage-inducing game, Flappy Bird, has been taken down by it’s developer. Vietnamese developer Dong Nguyen, recently claimed on Twitter, that the game had ruined his life. On the contrary, news reports suggested that he was making $50,000 a day from mobile ad revenue. Here are the tweets which he posted on February 9th. Ever since he posted the above tweets, Nguyen's follower count on Twitter rose from under one thousand to over 130,000 in just two days. “While we usually do not comment on the rumors and speculations, we have already denied the speculation” Nintendo spokesman Yasuhiro Minagawa , said in an email to The Wall Street Journal. 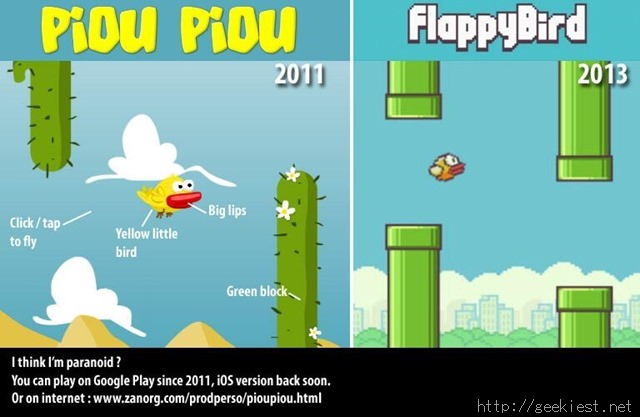 What many people may not be aware is the game developed by Nguyen itself was a clone of another Android game called Piou Piou. The game was developed by a French developer, Kek. The developer of the original game was not credited by Nguyen, or even acknowledged that he was aware of the game. But strikingly similar graphics (from the screenshot he posted on twitter) and the gameplay concept point out otherwise. Nevertheless, Kek had said he did not have the means to seek a legal settlement. Given the situation, I find it hard to sympathize with Nguyen’s claims that Flappy Bird ruined his life, when it could turn out he may have ripped off other developers. Despite the game being taken down, plenty of clones have appeared on Google Play. And to make things worse, Phones which have the game installed are being sold for thousands of dollars on eBay.